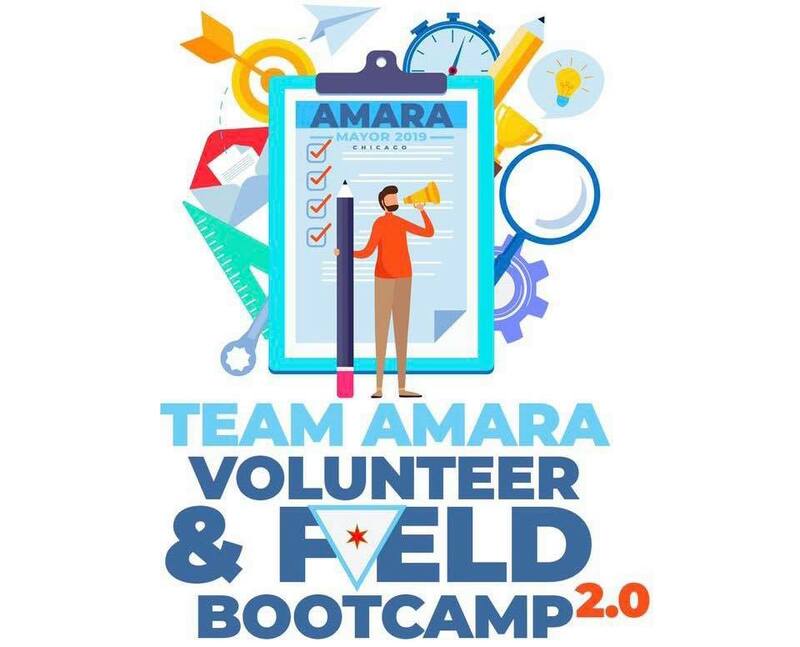 Whether you’re brand new to the campaign and interested in coming aboard or if you’ve been pounding the pavement and knocking on doors for weeks now, we invite you to our weekly Volunteer & Field Boot Camp! This is your chance to check in with your Field Organizer or to get paired with one in your neighborhood if you’re not already connected. We’ll go over phone banking and canvassing strategies, have training sessions, and give you the scoop on any campaign updates you should know about! The training takes place on the third floor of Blue Lacuna Artist Lofts every Thursday 6-9pm until Election Day at 2150 South Canalport. No need to RSVP – you can just show up (and don’t forget to bring a friend!) We can’t wait to see you and work together to get Amara elected Mayor of Chicago!